From Old to New, Or, Mitre verses Gown. : An Australian Clerical Story. Brisbane, H. Walker and Son, MDCCCCI (1901).. 8vo; pp. 196, (vi); advertisements; stiff wrapper, wrapper and endpapers browned, flecking to head of page edges, a good copy. 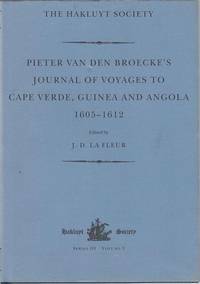 Pieter Van Den Broecke's Journal of Voyages to Cape Verde, Guinea and Angola. : (1605-1612). Hakluyt Society, Third Series, Volume 5. LA FLEUR, J. D; Editor and Translator. London, The Hakluyt Society, 2000.. Sm. 4to; pp. xvi, 139; colour frontispiece, maps, appendices, bibliography, indices; original blue cloth, marks on dustjacket; otherwise a fine copy. LA FLEUR, J. D; Editor. London, The Hakluyt Society, 2000.. 4to; pp. xvi, 139; colour frontispiece, maps, appendices, bibliography, indices; original blue cloth, title lettered in gilt on spine, gilt illustration to front, dustjacket, a fine copy. Melbourne, Oxford Universty Press, (1968).. Reprint; Sm. 8vo; pp. 30; b/w illustrations; illustrated stiff stapled cover; a very good copy. 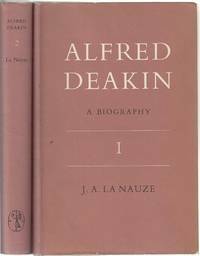 Walter Murdoch and Alfred Deakin On Books And Men. : Letters and Comments 1900-1918. LA NAUZE, J. A; NURSER, ELIZABETH. Melbourne, Melbourne University Press, 1974. . First Edition; 8vo; pp. ix, 108; portrait frontispiece; original red cloth, title lettered in gilt on spine, dustjacket, previous owner's bookplate on front endpaper, otherwise a very good copy. (Carlton), Melbourne University Press, (1965).. First Edition; 2 vols. 8vo; Vol. 1; pp. xiv, 346; illustrated frontispiece, 8 b/w. plates, (15 illustrations), abbreviations, references; Vol. 2; pp. vii, 347-695; portrait frontispiece, 8 b/w. plates, (15 illustrations), appendices, abbreviations, references, bibliography, index; original cloth, price clipped dustjackets with minor chipping; very good copies. Political Economy In Australia. : Historical Studies. 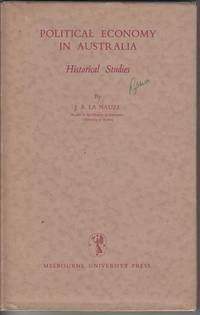 (Carlton), Melbourne University Press, (1949). . First Edition; 8vo; pp. 136; index; original green cloth, title lettered in brown on spine, dustjacket, price clipped, previous owner's inscription in ink to front free endpaper, browning to endpapers, a good copy. 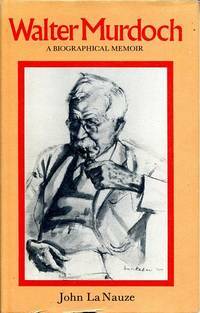 Walter Murdoch and Alfred Deakin on Books and Men Letters and Comments 1900-1918. LA NAUZE, J.A; NURSER, ELIZABETH. Editors. 8vo; pp. x, 108; portrait frontispiece; dustjacket, a fine copy. (Melbourne), Melbourne University Press, 1974. Walter Murdoch. : A Biographical Memoir. 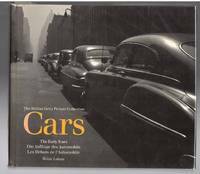 (Carlton), Melbourne University Press, (1977).. First Edition; 8vo; pp. xiii, 189; frontispiece; numerous b/w illustrations; notes, references, index; dustjacket worn, page edges flecked, a good copy. Engineer To Marvellous Melbourne. : The Life And Time Of William Thwaites. (Melbourne), Australian Scholary Publications, (2012).. 8vo; pp. 217; 16 pages of plates; notes, bibliography, index; stiff illustrated wrapper; a fine copy. Walter Murdoch: A Biographical Memoir. (Victoria), Melbourne University Press, (1967).. First edition; 8vo; pp. 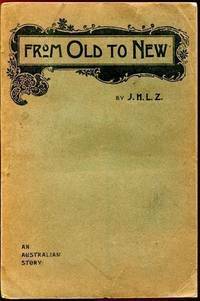 189; portrait frontispiece, b/w illustrations; bumps to bottom corners of boards and dustjacket, otherwise a fine copy. (Victoria), Melbourne University Press, 1977.. First edition 8vo, pp. xiii, 189; b/w portrait frontispiece, 12 b/w illustrations, references, index; dustjacket, minor bumping to tail of spine, otherwise a very good copy. Brisbane, University of QLD Press, 1960.. 8vo; pp. 24; original wrappers, previous owner's name on title page in ink, otherwise a very good copy. The John Murtagh Macrossan Memorial Lectures, 1958.
Who designed Melbourne's Sewerage System? : Contained in The Victorian Historical Journal. Issue 275, Vol. 82, No. 2. November 2011. Melbourne, The Royal Historical Society Of Victoria, 2011.. First Edition; 8vo; pp. 175-193; 1 b/w map, numerous b/w photographic illustrations, notes; original stiff illustrated wrapper; a fine copy. Melbourne, Oxford University Press, (1962).. First Edition; Sm. 8vo; pp. 30; some b/w illustrations within text, further reading, original illustrated stiff stapled wrapper, a very good copy. Not a Nine to Five Job. Kent, Charltons Publishers, (1992).. Lge. 8vo; pp. 248; b/w illustrations, index; rebound as a hardback bionding with the original illustrated wrapper laminated to the boards, a very good copy. 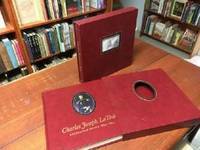 Charles Joseph la Trobe: Colume I. Landscapes and Sketches. Volume II. Australian Notes 1839-1854. LA TROBE, CHARLES JOSEPH; REILLY DIANNE (Introduced by); HAMMOND, VICTORIA (Notes by). Konemann, 2000.. Oblong 8vo; pp. 352; b/w frontispiece, profusely illustrated throughout with b/w photographic illustrations, index; original cloth, dustjacket, a fine copy. The Hulton Getty Picture Collection. Text in English, German and French. Voyage In Search Of La Perouse 1791-1794. 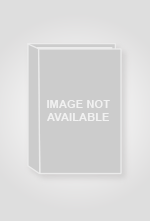 Performed By Order Of The Constituent Assembly, During The Years 1791,1792, 1973 And 1794.: Bibliotheca Australiana #67. 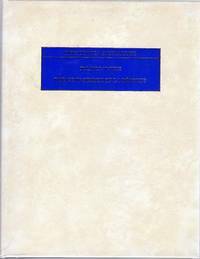 Amsterdam, N. Israel, (1971).. Facsimile Edition; 4to; pp. xviii, 476, 40, 81-88, 49-65; frontispiece, fold-out map, numerous b/w illustrations, appendix; original white cloth, title in gilt on blue label on spine and front board, a fine copy. A Wandering Vicar. : A Peep at England, Scotland and Ireland. 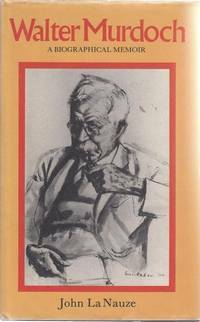 Melbourne, H. Hearne & Co, 1929. . First Edition; 8vo; pp. 152; numerous b/w photographic illustrations within text; original printed boards with black cloth spine, chipping to edges, front board coming away from staples, fading to boards, a good copy. Inscribed by the author.